A Cost effective solution to draught proofing and sound reduction with Secondary Glazing Systems which blend unobtrusively with most types of commercial and domestic window. Highly efficient sealing qualities are combined with an easy opening action for maximum benefit. 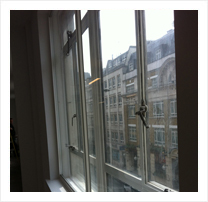 The Complete Secondary Glazing System to suit all commercial applications. Our horizontal sliding windows blend unobtrusively with most types of existing commercial and domestic windows. Highly efficient sealing qualities are combined with easy opening action. Fitted with nylon skids or ball raced stainless steel rollers. Horizontal and vertical slide units, are doubly sealed with twin Polypropylene Weatherpile. Hinged units are retained closed by casement turnbuckles. 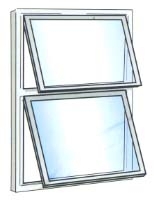 Horizontal Sliding Windows can be supplied with additional panels if required. 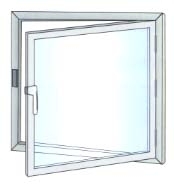 There are two types of vertical sliding windows. When you choose Lakeland Commercial Window Systems you open unlimited possibilities. Lakeland Commercial Window Systems is a FENSA registered company. Trading since 1985 we have a proven track record of quality and service to our customers. Our products are manufactured to the highest standards and all installations are carried out by only the best skilled professionals. Our aim is to fulfill all of our client's requirements and continuously exceed our client's expectations. The standards we set ourselves have resulted in 95% of our work now coming from repeat business and recommendation - there is no greater complement. Lakeland Commercial Window Systems Ltd. Copyright 2013 Lakeland Commerical Window Systems. All Rights Reserved.